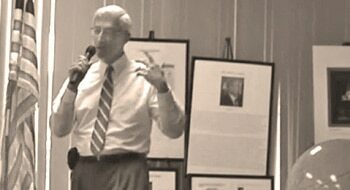 Scientist Confesses: "Global Warming a $22 Billion Scam"
Imagine, for a moment, sitting at a prestigious steakhouse in Palm Beach, Florida, a hot spot for some of the most Warming a $22 Billionwealthy and famous — Donald Trump, Tiger Woods, Oprah Winfrey, James Patterson, Rush Limbaugh, and hundreds more. And, imagine dining with a handful of men you’ve only read about. Some of them are worth millions, others published best-selling books, and some have held prominent positions at the White House. In essence, you’re sitting at a five-person table of VIPs. 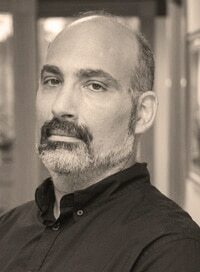 You’re about to take a bite of your New York strip when one of the men, a top U.S. intelligence agent, slams a 164-page document in the middle of the table. This document, you soon find out, contains damning evidence that a network of politicians, corporations, and scientists have conspired together to promote the fear of “global warming” . . . despite evidence clearly stating no such “global warming” exists. The motive: $22 billion per year. To be clear . . . that’s $22 billion of taxpayers’ money . . . the amount that our government pays to stop the “global warming” epidemic. That comes out to $41,856 every minute. Or, to put it in perspective, that is twice as much as what our government spends on securing our borders. Then, imagine this top U.S. intelligence agent turning to you, and asking for you to join him on a mission to out those involved in the “global warming” lie. Doing so would cost a lot of money, a lot of time, and could cost you your reputation. But, pretending you never saw the document, and carrying on with your life, would allow the scandal to continue and actually put lives at risk. So, imagine if you were at that table, and the scenario I just described happened to you. My name is Tom Luongo. I am a former scientist with the University of Florida and currently run theResolute Wealth Letterprogram. My name is Tom Luongo, and I’ve recently had this exact experience. In the following few pages, I am going to show you the alarming research in the document that was laid before me that night in Palm Beach. I will tell you why this network of politicians, corporations, and scientists tried to hide this research . . . and how you can be part of a newly formed initiative with the aim of getting this research into the hands of every American. This research proves, once and for all, that “global warming” is a sham . . . a sham perpetuated by a network of dirty government officials, greedy corporations, and bought-off “scientific” organizations. How you respond will be up to you. I can guarantee you one thing: After reading the next few pages, you will never look at government officials the same way . . . you will never trust what you hear in the media again . . . in fact, you will become skeptical of any and all authority figures going forward. It’s unfortunate, but the betrayal you’re going to discover today runs very deep, and revealing the truthabout “global warming” comes with great risk. As a scientist for over 20 years, I’ve always upheld the truth. I’ve worked with the University of Florida to do some amazing things . . . I’ve helped make crop yields more productive for third world countries . . . I helped create an intermetallic coating for gun barrels that dropped maintenance requirements on firearms by half . . . and I’ve helped cure diseases. I have seen a lot of research go across my desk. But none of it can compare to the 164-page document that landed in front of me that night in Palm Beach. That’s why I’m going to lay the facts from this document before you today, and then I’m going to ask that you join me, and the man who composed this document, on our mission to defund the “global warming” sham . . .
All it will take is a click of your mouse. With one click, you’re going to put more momentum behind what I hope to be the largest effort . . . ever . . . to annihilate the “global warming” lie and defund the government’s multibillion-dollar spending frenzy to keep it alive. Now, before we begin, I ask that you excuse any “rough” elements in this letter. What I’m sharing with you today is so urgent that I’ve made a huge effort to get the research in this 164-page document available to you as quickly as possible . . .
With President Obama’s recent speech about getting tougher on “global warming” issues I think it’s critical that we don’t waste a minute in getting this information out. The sooner we get this information into the hands of the public . . . your hands . . . the more informed voters will be when they cast their ballots. First, you should know who put this document in my hands — a man whom Al Gore is personallyattacking . . .
John Casey is a former White House space program advisor, consultant to NASA Headquarters, and space shuttle engineer. He is now one of America’s most successful climate change researchers and climate prediction experts. John is a former White House space program adviser, consultant to NASA headquarters, and space shuttle engineer. He is now one of America’s most successful climate change researchers and climate prediction experts. In short, John is the very definition of a government insider. He spent 35 years conducting classified research, examining confidential documents, and directing critical scientific programs. For example: In 1986, when the space shuttle Challenger tragically exploded, killing seven crew members, John testified before Congress on the cause of the accident. After the testimony, Congress instructed NASA headquarters to bring John in to chair a special internal investigation into why these critical systems failed. Now, keep that in mind for a moment: Capitol Hill and NASA trusted John’s detailed analytical approach and his engineering credentials so much they asked him to investigate the cause of one of our nation’s greatest tragedies. After 35 years of serving his country, John quietly retired in Florida. He planned on living peacefully, spending time with his wife, children, and grandkids. But on one April afternoon in 2007, John made an “unfortunate” discovery that changed everything. When the space shuttleChallenger crashed in 1986, the U.S. government asked John Casey to investigate. The discovery would ultimately lead him to abandon his plans for retirement in order to support a cause that was bigger than himself . . . that was bigger than anything he had done in his 35-year career. In fact, this discovery would result in him becoming hated by all those who once heralded him as their friend and adviser. After this outright rejection, John realized that despite his science not changing, despite the thousands of pages of irrefutable data, and despite millions of lives at risk . . . he was alone. The responsibility of letting the world know about this discovery rested solely on his shoulders, and those who would listen to him. I initially rejected what John had to tell me. But when he showed me what was in his 164-page document, I couldn’t argue with him. What John discovered that fateful afternoon was . . . Using their own data, John has proven, once and for all, “global warming” is a sham. And perhaps the most expensive — and lethal — sham in American history. A sham that our government spends $22 billion a year financing. Think about that: our government spends $22 billion a year financing “global warming” initiatives. Again, that’s almost double what the government spends on securing our borders. Or, to break it down to real numbers . . .
John’s research also uncovered a different looming cataclysm that will ruin every nation that’s not prepared . . . a calamity that has been accelerating for the last 17 years . . . and brewing for over 200 years. This impending catastrophe is as natural as the sun rising in the east and setting in the west. And just as unstoppable. I’m talking about a tectonic shift in the world’s economies that will . . . Cause governments to topple, nations to descend into chaos, and international wars to break out. In the 164-page document John handed me, he went to great lengths to explain exactly how serious this crisis will be. It’s going to be worsened by the fact our politicians are bullheadedly ignoring it. The result will be every American being blindsided . . . unable to see it coming because of Al Gore and his cronies preaching false dogma. As I said before, I didn’t believe it either until I saw the evidence in John’s dossier. And even then, it took me hours of talking to John afterward to digest it. John’s research has now been corroborated by 17 independent scientific individuals and organizations. These are some of the top scientific minds in the field of climate science . . . in the world. When John retired, he had many allies and supporters in the government. However, when he turned that same analytical approach Washington loved so much on Washington itself . 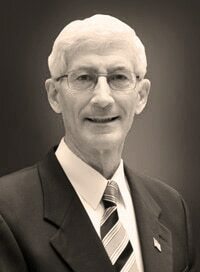 . .
As mentioned, in April of 2007, already into a comfortable retirement, John began examining some solar and environmental physics research (these are his hobbies). The “unfortunate” discovery he made would make any honest American sick to the stomach. John immediately took the evidence and called his colleagues and fellow government insiders to alert them to the situation. He even sent notices to the White House warning them of the crisis. And every year since, John has continued to notify every state governor, every U.S. senator, the House of Representatives, state attorneys general, U.S. Attorney General Eric Holder, President Barack Obama, Vice President Joe Biden, Obama’s Science Adviser Dr. John Holdren, and Dr. Jane Lubchenco, then head of the National Oceanic and Atmospheric Administration. You’ve heard how the earth is rapidly heating up . . . causing drought and mayhem. For sure, the media jumps on the “global warming” story every time there is a heat wave and each time a hurricane hits the East Coast. But how much has the world really warmed? Well, according to NASA’s own data, the world has warmed .36 degrees Fahrenheit over the last 35 years (they started measuring the data in 1979). I think you would agree that a .36 degree increase in temperature over the last 35 years is hardly anything to get in a panic about. Granted, that does mean the world is warmer, right? The problem with that argument is that we experienced the bulk of that warming between 1979 and 1998 . . . we’ve actually had temperatures DROPPING ever since! The reality is this: The world is 1.08 degrees cooler than it was in 1998. Just take a look at this chart from Remote Sensing Systems, which provides data to NASA, NOAA, and other scientific organizations. If you’re like me, this makes a lot of sense. We’ve had cooler summers and longer winters. 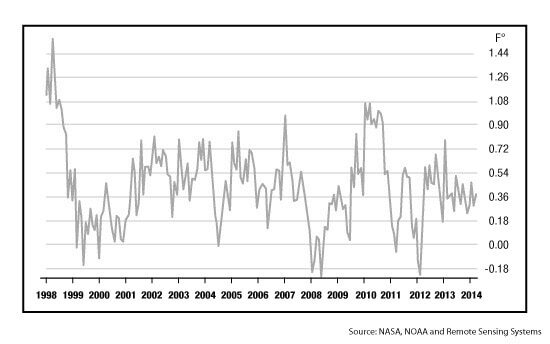 Again, take one more look at the chart above — global warming reversed its rise in 1998. In the dossier John handed me, he explains exactly why this happened . . . and what’s going to happen next. But for now, just keep this fact in your back pocket: the case for “global warming” is dead in its tracks. “Global warming” proponents have said for a long time we’d see a heating of the oceans. This proposition is necessary, since it means all those big chunks of ice are supposed to melt, killing off polar bears and causing states like Florida to get swallowed up by water. In 2007, while accepting his Nobel Prize for his “global warming” initiative (and quietly pocketing millions of dollars), Al Gore made a striking prediction . . . The arctic ice caps have increased in size by 43% to 63%. It is seven years later, and recent satellite images show that not only have the icecaps not melted . . . but they’ve expanded in size by 43% to 63%. I think we know who’s using actual science, and who’s fear-mongering their way to wealth and fame. Since 2002, the ocean temperatures have fluctuated less than 1 degree Fahrenheit. There is no warming. Again, there is nothing to get hysterical about here. You’ve heard for years how climate change has been caused by . . . well, you! Al Gore and his liberal friends have stood onstage blaming you and your “gas-guzzling” car, standard four‑bedroom house, and the factory downtown. 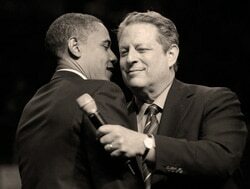 Al Gore spreads “Global Warming” propaganda for his own profit. Of course, the hypocrisy of the claim is that Al Gore himself racks up annual electric and gas bills of $30,000, more than 20 times the national average. Now, while I am all for keeping the environment clean (I recycle, drive a fuel-efficient car, and reuse materials), humans have not caused “global warming” . . . nothing can be further from the truth. President Obama even tweeted on May 16, 2014, “97% of scientists agree: climate change is real, man-made and dangerous.” John Kerry, Al Gore, and a host of others have championed this statistic. NOTE: I’ve shared a quick snapshot of the facts in John’s controversial 164-page document. Truth be told, John has 33 scientifically reviewed reasons that “global warming” is more than just a farce . . . it’s the product of bad, botched science. In John’s own words, the research in this document is “something you have not been allowed to hear for almost 20 years.” That is, the truth about our climate, the politicians manipulating the science, and the real key that controls our planet’s temperature — the sun. When further review was done, it was discovered that a mere 1% of scientists believe human activity is causing most of the climate change. In outrage, a petition was signed by more than 31,000 scientists that states “there is no convincing scientific evidence that human release of . . . carbon dioxide, methane, or other greenhouse gases is causing or will, in the foreseeable future, cause catastrophic heating of the Earth's atmosphere and disruption of the Earth's climate." The reality is simply this: The climate changes over time. When Alexander the Great was conquering Persia, climate change was a big factor. And we all learned in high school that the “little ice age” that rocked Europe killed hundreds of thousands of people from the 1600s through the 1800s. Additionally, we know about the heat wave and drought that wiped out much of America during the 1930s. Thousands of people were dislocated in search of survival. Were those events caused by man-made “global warming”? And, the reality is, most scientists who advocate “global warming” today know mankind has nothing to do with climate change. Remember: Temperatures have only risen .36 degrees since 1979 . . . and the bulk of that happened during the 1990s! We haven’t seen any warming for the last 17 years . . . in fact we have seen a drop in temperatures. Every year, the temperatures rise and fall with spring, summer, fall, and winter. A year is simply a 365-day cycle. The sun is 1.3 million times larger than the earth. When its temperature changes, our temperature changes. Every day, the temperatures rise and fall with daytime and nighttime. A day is simply a 24-hour cycle. These two cycles happen automatically. We can neither change them nor stop them any more than we can stop the Earth’s rotation. It’s impossible. The temperatures fluctuate based on these cycles. So clearly, the Earth’s temperatures rise and fall based on its exposure to . . . the sun. Well, here’s the breaking news. And you must pay close attention . . . because what I’m about to tell you has been deemed a “forbidden theme” in the scientific community. Talking about it gets you a black mark at the U.N.’s Intergovernmental Panel on Climate Change or the World Meteorological Society. Essentially, there are times when the sun gets hotter and times when it cools off as measured by “sunspots.” And John Casey found multiple solar cycles that determine the temperatures of the Earth. The thing about these cycles is that they are predictable, and therefore it’s not difficult to see what is coming in the years ahead. Indeed, if scientists were paying attention to these “solar cycles” years ago, they could have told you that the Earth would get warmer during the 1990s, and then it would cool . . . just like it has. 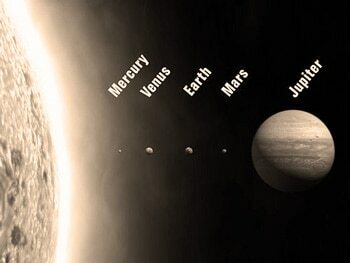 In fact, this climate cycle, along with several other cycles, has allowed John to make 11 accurate predictions about the Earth’s climate over the past few years, and it has allowed him to make a catastrophic prediction which I will share with you in a moment. Ironically, as John released his data on these solar cycles, the ugly lie about man-made “global warming” started leaking out. You probably already knew somewhere deep inside that something wasn’t right about the “global warming” theory. Sure, during the 1990s, we all noticed it getting warmer. But, to say that it is directly tied what humans are doing seemed to be a stretch, and, we have all noticed it getting a LOT cooler lately. So it might not come as a surprise to say that “global warming” is a sham. But what does come as a surprise to many is the evidence of outright lying that is now leaking out of trustworthy scientific agencies. Shortly after John exposed the truth about “global warming,” 1,000 emails and 2,000 documents from leading “global warming” scientists were found . . . revealing potential conspiracies, collusions, data manipulation, destruction of information, and even admission of flaws that were buried. One leading scientist — Kevin Trenberth — admitted “The fact is that we can’t account for the lack of warming at the moment and it is a travesty we can’t.” A travesty simply because they were worried about losing their government funding. In another email, Dr. Phil Jones — a leading “global warming” advocate at the United Nations — admitted that he used “Mike’s Nature trick” in a 1999 graph to “hide the decline” in temperature. There are several other documents just like these. More recently, Professor Robert Stavins — who helped write the 2014 United Nations Climate Report — came out to Breitbart News . . . and revealed that politicians demanded he change and edit parts of the report to fit their needs! In short, governments, and government-funded scientists, want to make sure that any “global warming” research published . . . will say exactly what they want it to say. Now, everyone knows from their high school education that the No. 1 rule of doing scientific research is that it cannot be undertaken with an end goal in mind because you will only use the data points that support your end goal. So, we’re being told that the survival of our planet, of the human race, relies on tackling “global warming” . . . yet the whole thing is a sham. Why would this network of politicians, corporations, and scientists do such a thing? Our federal government spends $22 billion on “global warming” research each and every year (twice as much as we spend on protecting our border!). Again, that is $41,856 every minute. If government-funded scientists came out and said “global warming” didn’t exist, their funding would be cut immediately. But “global warming” has been kept on life support for another crucial reason: It has been a practical ATM for every in-the-know political figure. 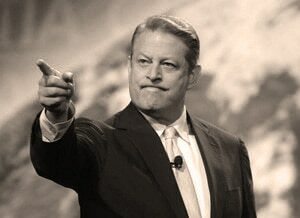 The media is catching on to Al Gore’slies, but he is not going down without a fight. In 2001, before leaving office as vice president, Gore was worth less than $2 million. Since then, he has grown his wealth to $100 million . . . almost entirely by investing in a handful of “green-tech” companies . . . 14 of whichreceived more than $2.5 billion in loans, grants, tax breaks, and more from the Obama administration. You are likely familiar with the story of the failed Solyndra green energy initiative, which cost taxpayers $500 million; President Obama took a lot of flak for that. But here’s a little-known side of the Solyndra story I bet you haven’t heard: Obama, in essence, used taxpayer money to finance his re-election campaign . 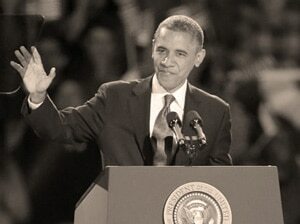 . . by funneling it through Solyndra. You see, when Solyndra fell on hard times, it passed into the hands of two large private equity investors . . . Goldman Sachs and George Kaiser. When $500 million in taxpayer money was given to Solyndra, both Goldman Sachs and George Kaiser benefited. Coincidentally, both have made contributions to Obama’s election campaigns adding up to roughly $1.25 million. In 2010, another federal loan of $400 million went Abound Solar. That resulted in a bankruptcy as well. But investors in Abound Solar seemed to do just fine . . . investors like billionaire heiress Patricia Stryker. Stryker has famously contributed $500,000 to the Coalition for Progress while throwing $85,000 toward Obama’s inaugural committee. It’s just a coincidence that the government handed a company she invested in $400 million just before bankruptcy . . . right? There’s also A123 Systems, which paid one lobbying firm $970,000 to secure money from the government — and received $279 million in federal assistance. The CEO of A123 Systems went on to fund multiple Democratic senators and contributed to Obama’s campaign. First Solar received $646 million in government loan guarantees, and has since contributed more than $180,000 to Democratic campaigns. GE is notorious for spending tens of millions of dollars a year to “buy” green energy credits for its wind turbines and other green technologies — credits which helped the firm pay ZERO taxes in 2011. There are a host of other examples of liberals getting wealthy off “global warming” initiatives just like these. You can see why green energy is such a profitable business — CEOs and executives get to rake in millions of dollars, while politicians get lucrative donations for their campaigns . . . and scientists get all the funding they need to keep them going . . . all on your dime. But here’s the cherry on top . . . While $22 billion of our money is being redistributed every year to greedy scientists, politicians, and corporations . . .
$22 billion is just what is spent on these “global warming” initiatives. The reality is, these initiatives have ripple effects . . . mainly the regulations (from government agencies like the Environmental Protection Agency) that shackle free enterprise and force us to rely on foreign energy. According to Forbes, the total cost of these ripple effects is a staggering $1.75 trillion annually. I want you to really think about that for a moment. We’re watching $1.75 trillion per year . . . $3,329,528 per minute . . . go to waste. It’s worse when you note that the U.S. Energy Information Administration says these regulations could ultimately cause gasoline prices to rise 77% over baseline projections . . . send 3 million Americans to the welfare line . . . and reduce average household income by a whopping $4,000 each year. Washington knows all of this . . . and is still barreling forward with its nonsense policies! They’re just letting you foot the bill, while they pocket the benefits. Fact is, organizations like the Environmental Protection Agency have handcuffed capitalism . . . based on a theory even its staunchest supporters (like the aforementioned Dr. Allegre) have already renounced. The result: reduced business, higher energy and food costs, higher taxes, lost jobs, and more money going overseas. With $1.75 trillion in annual costs, you would think someone out there would listen to John and his research, but . . . When John discovered that the world was indeed cooling, he urgently shared his findings, only to get lambasted. Al Gore himself specifically called John a “pseudo-scientist” and discarded his findings. But think about something for a moment. Why would John take on this mission to expose the truth about “global warming” if he didn’t fully know that his evidence was fact? Why would he risk his reputation, his retirement, and his way of life? It would have been much easier to walk away. But John isn’t the type to walk away from the truth . . . especially when it would put his family, country, and even the world at risk. That is why John has taken on this mission, even if it means doing it alone. It is why he has exhausted his savings and retirement funds to spread the word about his research through his organization, Space and Science Research Corporation (SSRC). He will let nothing stop him. John’s persistence is finally paying off. A small movement is starting . . . one that I am proud to be a part of, and one that I will invite you to join in a moment. Helping fuel this movement has been the series of cold winters and cool summers that John predicted would come. The media no longer could ignore the irony in front of them. Here is what they have reported recently. And now, a small but distinguished group of scientists and researchers are publically aligning themselves with John Casey and his organization. One such organization recently named John . . .
Perhaps that is because unlike some of the “global warming” darlings and proponents — NOAA, NASA, and the IPCC — John’s research has consistently predicted weather patterns correctly. John has spoken at conferences across the United States . . . making 11 accurate predictions. Since he first began sharing this work in 2007, John’s 11 predictions have come true (mind you, these are MAJOR events, not predicting that tomorrow will be slightly cloudy with a chance of rain). I could walk you through all 11, but they are very extensive and heavy on the science. John has accurately predicted everything from a drop in solar activity (NASA later adjusted their own projections to fall in line with his) to a rise in historic earthquake activity (10 months before the earthquake that hit Japan and caused the Fukushima meltdown). Please know, all 11 of his predictions of have been verified — by myself and other third parties. All of them have been attacked by government-funded scientists, only for those same scientists to eat their words later. Each and every one of John’s predictions have been made publicly and shared with top government officials and the mainstream media for the last seven years. John has made every effort to share this information. But instead of listening, the media and the left treated him like a leper and have done their best to smear his name. Science and politics have worked this way for hundreds of years. Galileo was ridiculed by scientists invested in the idea the sun revolves around the Earth. Robert Goddard — the man who ushered in the Space Age and rocket ships — was ridiculed endlessly during his life for proposing . . . traveling to the moon. William Harvey was ostracized for proposing the theory of blood circulation . . . Opponents could never refute the science — they could only attack the man behind it. Just like they do with John today. But there is a small group of scientists that are starting to listen, and take action! Unlike the “scientists” who want to present information that has been twisted to fit a political agenda, and slam anyone who rebels against the accepted dogma . . .
John has done nothing but put his research up to public scrutiny for the last few years. And now some of the top scientific minds in the world are rallying to him. Here’s what they have to say . . .
Each of these scientists has reviewed John’s work and had no choice but to agree with his conclusion after seeing the evidence, just as I did. John even confided in me that several other scientists secretly support his work. They agree with his conclusions. They think “global warming” and the accepted climate science is hogwash. But they can’t say anything about it. It’s easy to get upset with these scientists, and we should be, but in reality, they are just trying to keep their jobs. We should put the bulk of the blame on our government. We have a government that prefers comfortable delusion to uncomfortable truth. I am proud to be an American and I think God has really blessed this country. When it comes down to it, no other nation has ever given every man, woman, and child the chance to enjoy so much prosperity. And more importantly, so much control over their lives. However, our nation has made a hard turn over the last few years — we’ve spent more time furthering agendas of a handful of politicians than actually protecting the American people. John’s research is just one example. Rather than being, as he says, “one of hundreds” sharing this information . . . John and his small organization have been doing it all. And as a result of their tremendous effort, a small movement has started. However, this small movement is at risk of dying in its tracks without help from bold Americans like you. That’s why . . .
As I said earlier, my name is Tom Luongo. I’ve been a scientist for the better part of my life. I’ve worked to make crop yields higher in third world countries, I’ve done hundreds of chemical tests to make firearms less maintenance-intensive, and I have worked to help cure diseases. I used the “scientific” approach in other areas of my life as well. For example, I’ve been able to turn every $5,000 into $34,000 using a scientific approach to investing. I used the scientific method to teach myself economics . . . and, as a result, started buying gold in 2001 — watching it jump 473% since. I even used it to deduce the housing bubble was coming, three years in advance (and, along with my wife, took special precautions to avoid the fallout). My point is, I’ve seen and done many things with my scientific background. I’ve used it to help myself and help others. John Casey knows I have a knack for getting things done, and done right. That’s why, at a dinner in Palm Beach not long ago, John set a 164-page document in front of me. This document is the culmination of his years of work — it’s all his research in one bound volume. John knew I would validate his claims, and upon doing so, take action. Since that fateful night, John and I have teamed up to take that document and rewrite a good bit of it into a simple-to-read and easy-to-understand book, so that we could publish it, and get it into every home in America. The book is called Dark Winter . . . and I want you to have a FREE copy of it! This book includes every alert, every warning, every scrap of information he has sent urgently to our government. John reveals the science behind his 11 accurate predictions in simple-to-understand terms, and why he foresees more significant events like tornadoes, earthquakes, and volcanic eruptions. John also reveals 33 crushing scientific dissections he performs which make “global warming” even more of a farce. Most importantly, Dark Winter makes an alarming prediction. There is a looming cataclysm that will ruin every nation that’s not prepared . . . a calamity that has been accelerating for the last 17 years . . . and brewing for over 200 years. This event will cause international wars as governments topple and nations descend into chaos. John even exposes why we may soon see oil rise to $300 a barrel and food prices triple (and in some places, food will become unavailable). Best of all, John reveals a three-step plan to protect yourself if his latest predictions come to fruition just like his last 11. Again, I want you to have a copy of this book . . . for free. I want to get it in your hands . . . and in the hands of every other American out there! And that is why we need your help. And you have seen how John has made 11 accurate predictions and a team of scientists are rallying around him. Most of all . . . you have seen how John has spent his retirement time and money preaching this message to anyone who will listen. Yes . . . they are few and far between. But some are now listening. John’s not doing this for money. As I said, he’s actually exhausting all of his savings to get this message out. But we can’t stop here. And John can’t do it alone. He is facing a $22 billion budget along with years of “global warming” brainwashing. Some battles have been won, but the war is far from over. John is on the left. I am on the right. We have worked hard on putting together theCold Truth Initiative, and we appreciate your support. I have personally poured my own blood, sweat, and tears into putting this initiative together. I figured it was the least I could do for my good friend John Casey after all he has done for us. The Cold Truth Initiative will send an audacious message to those who have perpetrated this blatant lie called ‘global warming’ — a message that will stop their malicious deceit in its tracks. We will achieve this mission by completing three bold goals before January 1. We will reveal the fraud, the bought science, the government manipulation, and the outright deceit so that EVERY American can see the deception in broad daylight. We want everyone to know that the little hunch they have about “global warming” being hyperbole . . . is the right hunch. We want to expose just how foolish these “global warming” policies are that cost us trillions of dollars. We want every man, woman, and child to see that “global warming” isn’t science — it’s a get-rich-quick scheme for politicians. And it must stop immediately! The government’s favorite way to control the population is to keep them misinformed. The last thing Al Gore would want you to see are the truths that are revealed in this book. When every American has a copy of Dark Winter, they will be freed from the control of man-made “global warming” lies. In order to do this . . . we have decided to give the book away for free at a huge expense. We will take back the $22 billion of taxpayer money the government is misappropriating every year, and let people use their money the way they would like to . . . rather than watch it burn up on pointless legislation. Once the “global warming” enterprise folds, the American economy can grow again . . . by as much as $1.75 trillion per year. We have ambitious goals, no doubt. Thankfully, because of good people like you, within the last week we have raised tens of thousands of dollars. We have used that money to reach an estimated 2 million people with the truth. John Casey and I have been working day in and day out, shoulder to shoulder, to spread this message. But now we need your help! You can join the Cold Truth Initiative right now. All we ask is that you make a one-time contribution of $5 that we will use to fulfill our mission. This book reveals the groundbreaking research that forced John to reverse his belief in “global warming.” He spent most of his life buying into the dogma . . . that is, until that fateful evening in April, 2007. Once he saw the truth, there was no going back. I am willing to bet this information will have the same effect on you. However, your FREE copy of Dark Winter is just the first item you will receive today when you join theCold Truth Initiative. John and I want to give you an arsenal of weapons to help spread the truth. That’s why the book Dark Winter is just the first item we will be arming you with today. We are holding nothing back for this initiative. You will also receive . . . 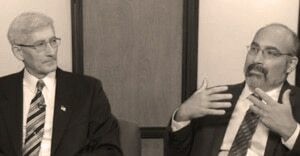 The Lost Video Interview (a $29 value): This is the private conversation I had with John after reading his 164-page document. During the course of this interview, John revealed more cold hard facts about the end of “global warming.” I think you’ll be just as floored as I was (particularly when John explains the real reason Russia is invading Ukraine, and why it could be very bad for America). 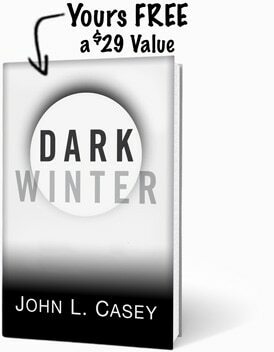 The Dark Winter Survival Guide (a $49 value): In John’s book, Dark Winter, he goes beyond blowing “global warming” out of the water . . . he reveals a calamity far worse than most climate scientists can imagine — all based on proven solar cycles. I worked hand in hand with John to create a DETAILED action plan for you to avoid the biggest pitfalls and even thrive during this coming era of chaos. The Dark Winter Investment Guide (a $49 value): As a seasoned investor, I feel it’s important to help you get all your ducks in a row. Money makes the world go round — and having enough of it, especially during the potential dark days ahead, can make your life much easier. I’ll show you how to effectively invest your money — and possibly, like me, turn every $5,000 into $34,000. A 3-Month Subscription to My Resolute Wealth Letter (a $24 value):I write a monthly newsletter that is distributed to about 10,000 people. Think of this newsletter as your monthly road map not only to wealth (I hand-pick several home-run investments every month for my readers) . . . but also to honest science, real economics, and alternative, practical ways of living outside of Uncle Sam’s reach. I bring in top experts to help me share little-known strategies for protecting your privacy, slashing your taxes, and even living “off the grid.” You get all of this information delivered straight to your inbox every single month — free — for three months. And then, if you choose to renew the subscription, it is only $97.95 for the full year. Every dollar you contribute will be spent to spread the truth about “global warming” and on equipping you with the tools you need to tell others about this lie . . . so that you and your fellow citizens can be prepared for what is to come. None of the money will be kept. To be clear, the minimum contribution when you join the Cold Truth Initiative is $5. But you are allowed to contribute more . . . in fact, I estimate that every $5 you contribute helps us reach 20 more people with this message through online advertising, media buys, and campaign speeches. That’s 20 more people who will know the truth and who will spread the truth. However, because of one of your fellow Americans . . . an anonymous contributor you will never meet . . . you are now getting the information you need. John has put 100% of his life into spreading this message. I have made a commitment to print thousands of copies of Dark Winter along with the other critical items in your Cold Truth Initiative Introductory Kit . . .
Thousands of others have already financially supported us through contributions to the Cold Truth Initiative. Liberals like President Obama and Al Gorehope you remain silent on what you have read today. So what will you do now that you have seen the evidence for yourself? My hope is that you don’t walk away in silence as a network of dirty politicians, greedy corporations, and bribed scientists rob you year in and year out. That’s exactly what they want you to do. They want you to think that your contribution won’t make a difference. They want you to think your voice is too small to change things. Remember, this information isn’t just important, it is vital! $22 billion of your money is being spent every year to keep the “global warming” lie alive . . . consumers and corporations take a blow of $1.75 trillion a year because of useless legislation. Imagine how the American economy might look if we weren’t effectively flushing this money down the toilet . . . imagine how much your taxes could drop if the government wasn’t spending your money on nonsense programs . . . The only way we can win this war is if we unite together. Thousands have already contributed to the Cold Truth Initiative. We are making headway, but we have a long way to go. Now is your chance to make a difference. Today, you can strike back at the lies, and more importantly, you can help other Americans protect themselves. I urge you to click the button below and make a small contribution of $5 or more today. We’ll rush you a free Cold Truth Initiative Introductory Packet that includes John’s book Dark Winteralong with The Lost Video Interview, The Dark Winter Investment Guide, The Dark Winter Survival Guide, and a three-month subscription to my Resolute Wealth Letter. Just Click Here Now to Put an End to the ‘Global Warming’ Lie.